Rockstar Games has once again released a brand-new trailer for Red Dead Redemption 2. The trailer gives players a few more details, teases the return of an old friend, and sets the stage for the game's story. We already know that the game is a prequel to the first Red Dead Redemption. The game will star Arthur Morgan, an outlaw member of the Van der Linde Gang, the same group that Red Dead Redemption protagonist John Marston was hunting for his own redemption. Players will get to see gang leader Dutch van der Linde at the height of his power and youth. So let's dig in this trailer a bit. As the trailer directly states, Red Dead Redemption 2 takes place in 1899, which puts it exactly 12 years before the beginning of Red Dead Redemption. That title begins with John Marston being taken from his family by the Bureau of Investigation to go hunt down his old friends in the Van der Linde Gang. Given some shots in the trailer, it's likely that Red Dead Redemption 2 will cover a couple years; the appearance of an old friend points to the game potentially ending around 1906. This is the beginning of the end for outlaws, as the government is working to hunt them down and civilization is coming with the full advent of the railroad. Red Dead Redemption was about the last gasp of this style of the Old West; Red Dead Redemption 2 looks to be the beginning of the end. Landon (?) in Red Dead Redemption 2, versus his appearance in the the first game. 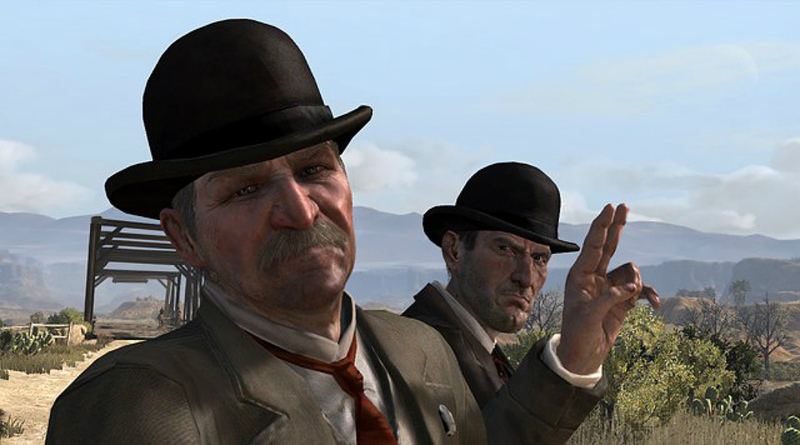 This year is also important because it marks the Blackwater Massacre in the Red Dead timeline. This was a huge gunfight that involved legendary gunfighter Landon Ricketts and killed a large number of outlaws and lawmen. Ricketts is the only survivor of the incident, and Blackwater itself appears in the trailer, so expect to have that part of history colored in. Ricketts would have a further gunfight in 1902, which would see him move to Mexico. A younger version of Ricketts himself seems to be at 1:21, so perhaps we'll cross paths with him multiple times? Jump to 1:41 in the trailer to see an old friend return. Yes, that's Red Dead Redemption protagonist John Marston in the flesh. In fact, there are some freshly-stitched wounds on his face, which will heal to become his signature facial scars. 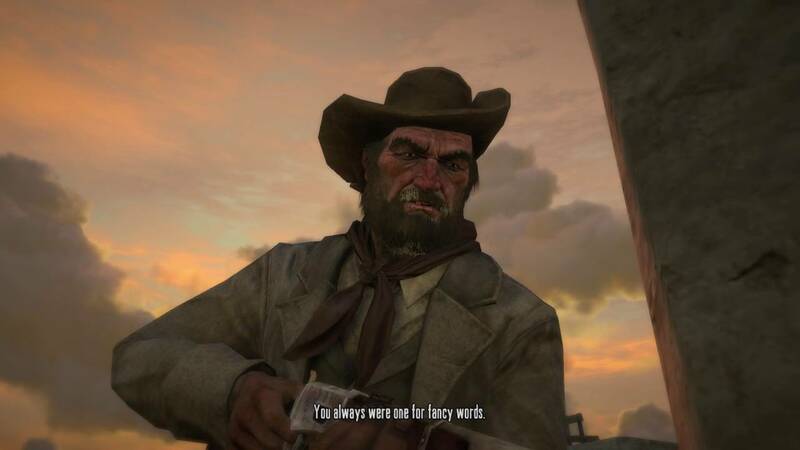 RDR2 will likely end with the failed bank robbery that saw the gang leave John Marston for dead, the final straw in him leaving the life for good. That bank robbery is the incident that happened back in 1906. It was mostly shrouded in mystery in the Red Dead Redemption, but the sequel has a chance to illuminate that moment. John's wife Abigail is in the trailer at 1:25, admonishing someone for never changing, probably John. Abigail had a past as a prostitute that rode with the gang, and her falling in the love with John was the initial impetus for both leaving to start a family. If we're seeing John, Abigail isn't far behind, so this isn't unexpected. Another major supporting character from Red Dead Redemption appears at around 1:46 in the trailer. In the midst of a whole bunch of characters bundled up against the cold—the Great Blizzard of 1899 would stretch in the southwest United States—you can see Uncle. 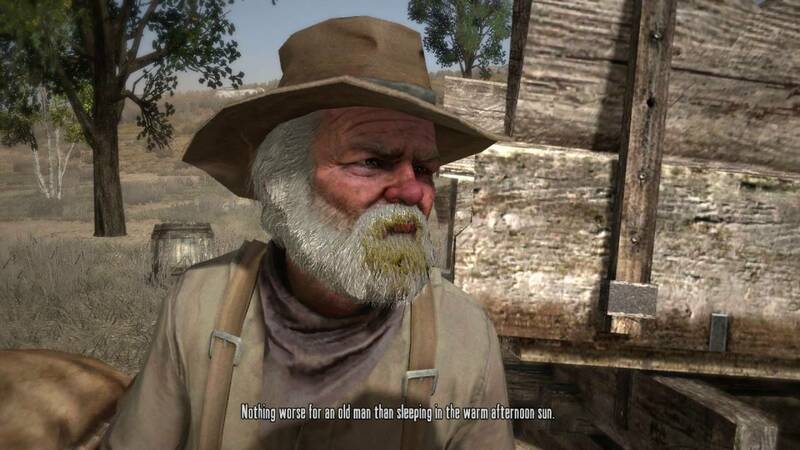 Uncle is a former thief and current alcoholic who lived with John Marston and his family on their ranch in Red Dead Redemption. He has no real name in the game, and mostly stays out of the action, except for one of the final missions of the game. Perhaps we'll find out a bit more about his past, especially because it looks like he might've been part of the gang. The antagonist in the game seems to be a lawman hunting down the gang for their crimes. That character, featured in a full suit and bowler hat with a red stripe, is currently unnamed. 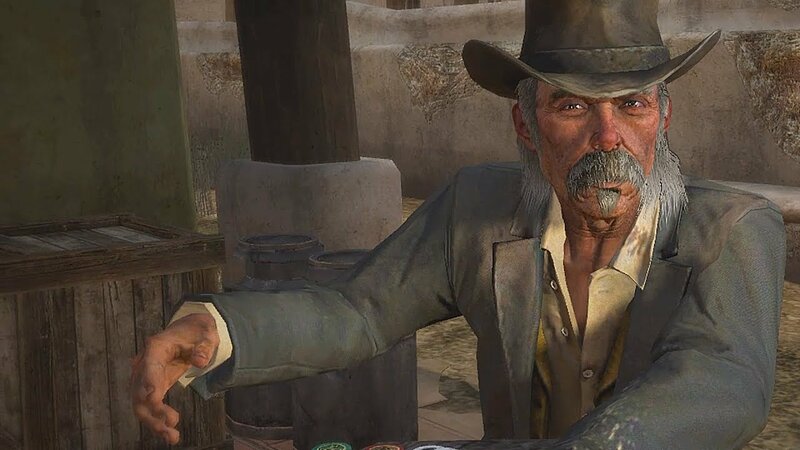 Next to him however is what looks to be a younger version of Edgar Ross, Marston's primary enemy in Red Dead Redemption. Ross is the director of the Bureau of Investigation in that game and takes Marston's family in order to get him to hunt down the rest of the gang. It's likely that Ross isn't a director at this point in time, but the events of Red Dead Redemption 2 may provide context for his feelings about Marston in the first game. 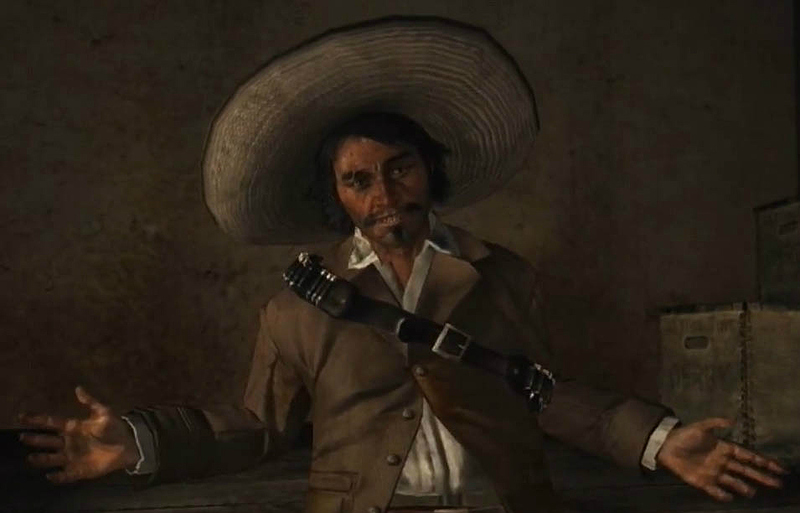 Bill Williamson and Javier Escuella also appear briefly in the trailer, as they're still affliated with the Van der Linde Gang at this point in time. In Red Dead Redemption, the notable members of the Van der Linde Gang included Dutch van der Linde himself, John Marston, Abigail Marston, Bill Williamson, and Javier Escuella. Arthur Morgan was added to the list with the previous trailer, considering he's the game's protagonist. This trailer seems to show a few more members we didn't know about. Morgan is shown a few times talking to a young blonde woman who seems to be a part of the gang, as she's shown sitting around the campfire with the rest of the gang in a later scene. In that same scene, someone who looks like Uncle appears as well. There seems to be a member of Native American origin in a few scenes of the trailer, and in a wide shot of the whole gang, a Black member and a few more women appear. This is Dutch at the height of his power and the bigger gang illustrates that. Like Grand Theft Auto V, heists look to be the order of the day. There's at least one bank heist, one that takes place on a moving train, and a stagecoach finds its driver summarily "fired" in a scene. GTA V's heist system had you hiring folks to do a job, but Red Dead Redemption 2 looks to keep it all in the family. How will Rockstar change the heist system to make it work here? We'll see. Red Dead Redemption 2 offers up another beautiful trailer, probably done in-engine. That said, fans are beginning to wonder "Where's the gameplay?" Rockstar Games will likely start showing off the game soon, especially with the 2018 Electronic Entertainment Expo being right around the corner. If we get a chance to play it, we'll let you know. There are a lot of rumors swirling around such as how Red Dead Redemption 2 might include a battle royale mode. However, Take-Two's CEO, Strauss Zelnick, also warned that battle royale clones risked being derivative during a recent investor's meeting. For more on the game, be sure to check out our complete Red Dead Redemption 2 article with all the latest release date info, trailers, and news. Tagged with Articles,	PlayStation 4,	Rockstar Games,	Take-Two Interactive Software,	Xbox One.